After decades of silence, Serving Our Country is the first comprehensive history of Aboriginal and Torres Strait Islander people’s participation in the Australian defence forces. While Indigenous Australians have enlisted in the defence forces since the Boer War, for much of this time they defied racist restrictions and were denied full citizenship rights on their return to civilian life. 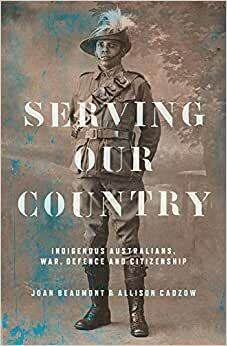 In Serving Our Country Mick Dodson, John Maynard, Joan Beaumont, Noah Riseman, Allison Cadzow, and others, reveal the courage, resilience, and trauma of Indigenous defence personnel and their families, and document the long struggle to gain recognition for their role in the defence of Australia. Start reading Serving Our Country on your Kindle in under a minute. Joan Beaumont is Professor Emerita, Strategic and Defence Studies Centre, Coral Bell School of Asia Pacific Affairs, at The Australian National University. Her publications include the multiple award-winning Broken Nation: Australians and the Great War (2013). Allison Cadzow is Research Associate at The Australian National University.